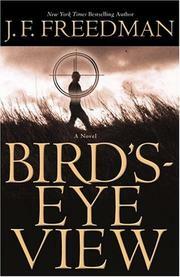 Character-driven suspense with a subtheme of ornithology, not as deep a bowl of nastiness as Freedman’s best or his most recent (Above the Law, 2000). In Austin, Texas, hedonistic professor of American history Fritz Tullis, 34, has heretofore enjoyed himself thoroughly as a pothead, a drinker in big denial, and a terrific make-out artist with unmarrieds and, lately, younger grad students. Then he falls hard for Marnie, who is ten years older, has a doctor husband, and moves in high society. Fritz dives heedlessly into a long dalliance all the same—only later to learn that her husband has photos of Fritz and Marnie deeply entwined, and worse. On top of that, her husband turns out to be the university’s dean of medicine and a contributor of millions. He wants Fritz tossed, while keeping Marnie for himself, and he gets his wish. Fritz goes to a shack his fashionable mother owns on the Chesapeake Bay, mopes, drinks, rolls joints, takes up bird-watching. And discovers Ollie, a whooping crane living with sandhills—a bird among the most endangered of endangered species, which by law he should report and help save. While taking photos of Ollie, Fritz also takes photos of a murder in progress on an airfield in the wilds. Then a plane takes off with the body. Fritz clams up, hides his photos. When he learns that the dead man, later found in a dumpster, is a Russian diplomat, he has the photos refined by high-tech computers. Soon he finds that he has fallen onto the endangered list, and that someone clearly is out to add him to a dumpster. Meanwhile, he falls for Harvard ornithologist Maureen O’Hara (yes! )—who is not what she seems, nor are several other characters as bodies drop, including Fritz’s mother’s. At story’s end, will Fritz’s romance chill out and the hedonist get wised up? Steadily gripping but less than exciting.